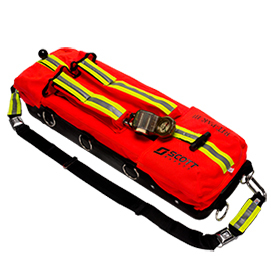 Scott’s RIT-PAK III is the industry’s first all-inclusive emergency air-supply system and works impeccably in mutual aid situations regardless of SCBA used by neighboring departments. Developed with input from RIT instructors and firefighters from across the country, Scott’s RIT-PAK III is the most comprehensive RIT system on the market. Specifically designed for rapid intervention teams or emergency response teams, the RIT-PAK III is field designed and tested. Need a price on Reconditioned Scott RIT Packs Now Available's?